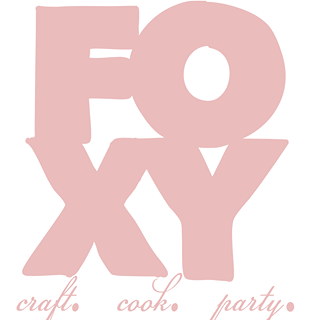 Join a festive holiday craft party hosted by Foxy Parties at holistic Pilates studio, Mind & Motion. Mamas can create festive wreaths and enjoy cheese & charcuterie, along with tasty wine. For guest attire, please wear neutral color tones, with socks or flats. Amri Kibbler is the mama to two sweet girls, Mari and River, that inspire her everyday. Married to her love, Jason Kibbler they live together in Williamsburg, Brooklyn. She spent a decade as an editor and stylist creating engaging content for major media publications at Hearst and Conde Nast. Working with publications like Cosmopolitan, Self and Glamour she is well versed in the language of the millennial woman having grown with this woman as she graduated from college, started and scaled her career, and now as a mother. Amri is passionate about storytelling both visually and through interviews, years as an editor honed her keen eye for curating brands, products and people that inspire. She brings this experience to her role as Editor in Chief of heymama.co interviewing exceptional women and creating compelling visual imagery to tell both the stories of accomplished women and the brands that speak to them. Larisa is the proud mama to her creative firecracker daughter, Ivy, and married to her love and college sweetheart, Mike. This California girl has been in NYC for 10 years and is a proud HEYMAMA community member. As a “Jill of All Trades,” Larisa has been a marketing director, pilates instructor, choreographer, fitness studio manager, freelance writer, blogger, and business owner herself. She excels at being the right-hand woman to creative entrepreneurs who are changing the world. Her experience as an online business manager and virtual business consultant gives her an eye for all operational and system-based organization that she is proud to bring to the HEYMAMA team Through her work at HEYMAMA she is thrilled to connect conscious brands with amazing business mamas who are making an impact, building intentional businesses, and raising amazing children.